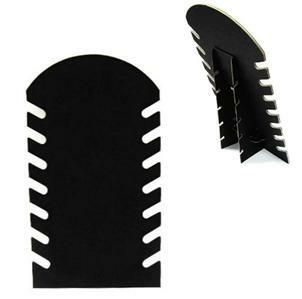 This 7 level necklace display is fininshed in black velvet. Easy to stand up easel is about 14 inches tall and 7.5" wide. This will make a great display in your botique or vendor booth, or just use it to keep your necklaces organized at home.